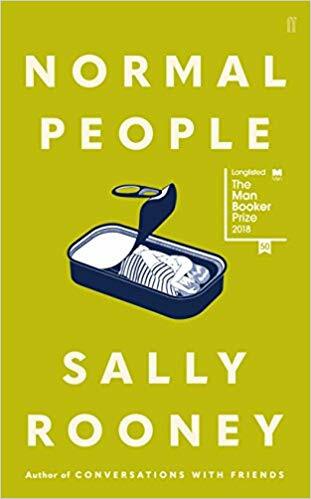 ‘Normal People’ is Sally Rooney’s second book and it won a whole host of awards including, Costa Novel of the Year 2018, An Post Irish Book Awards Novel of the Year, Winner of the Specsavers National Book Awards International Author of the Year and was longlisted for the Booker Prize. Marianne, is the quiet, recluse in the small town, she lives with her mother and bullying older brother and Connell is the popular and studious young man who many admire from afar. His mother is also the cleaner of Marianne’s house. Whilst picking up his mother from work, Marianne and Connell begin to get to know each other and begin a secret relationship that stops when Connell doesn’t bring Marianne to their prom. The story then flows over a number of years and is seen from their perspectives as they reconnect, never truly admitting their feelings but are there for each other during the difficult times. Both embark on other relationships and friendships, but they always come back to each other. This book is an interesting story, it’s raw and honest and deals with issues of abuse, confidence and self-worth. Marianne is a complex character, she feels not worthy of love and ends up abusive relationships and each time Connell saves her, we hope that this might be the time that they get their happy ever afters but life gets in the way. Connell is the unlikely hero in the story, he’s there for Marianne to help her through the tough times, but always fails to make commitments which is frustrating at times. They are opposites, one coming from money and the other without and it’s interesting to see the dynamics of the relationship change over the years. Sally doesn’t bother with punctuation in her stories, a similar style to Cormac McCarthy and at times this can make the reading difficult to understand but after a while I got used to it. I was curious about this book and after seeing it win so many awards, I understood the hype. The characters are damaged and troubled and so is their relationship, but they are constantly drawn to each other and their interaction with each does make for tender and insightful reading at times. ‘Normal People’ is a very well written story with some witty and poignant dialogue, having said that I didn’t enjoy it as much as ‘Conversations With Friends’, but still thought it was an engaging book. You can buy ‘Normal People’ from Amazon and is available to buy from good bookshops.